A bit about my work - I use 100% Merino Wool which has to be the greatest material ever. Colour is everything, whether it's fabulous brights or fine neutrals, each one is effervescent in it's own way. I mainly make soft furnishings (particularly blankets) but like to branch out a bit too. Everything is hand knit on giant needles, then hand processed to help with quality and lifespan. I also have a growing DIY section for anyone who wants to have a bash themselves! *and exhale* If you'd like to know more then there's plenty more waffle on the About page and in my Blog, Happy exploring! 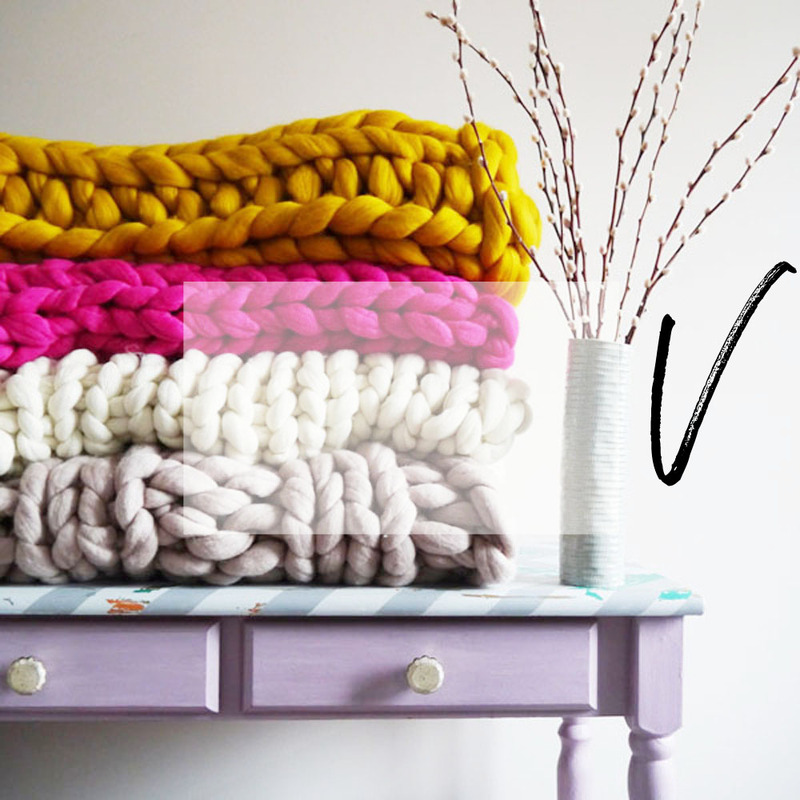 Here’s all the ideas for things to knit with your subscription boxes - heaps of free patterns and my top tips for adapting them…. Thank you, I'll get back to you ASAP.